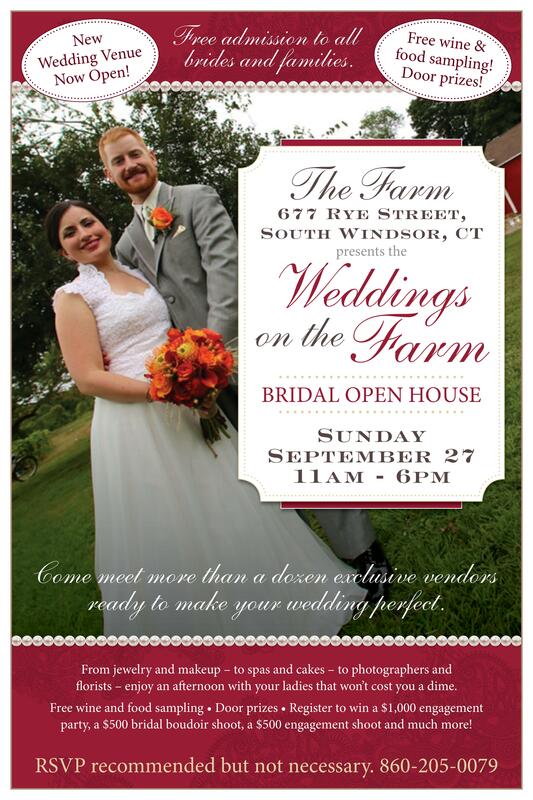 Weddings on the Farm presents the 2015 Bridal Open House on Sunday, September 27 from 11AM to 6PM. Come meet more than a dozen exclusive vendors ready to make your wedding perfect. From jewelry and makeup – to spas and cakes – to photographers and florists – enjoy an afternoon with your ladies that won’t cost you a dime. Free wine and food sampling • Door prizes • Register to win a $1,000 engagement party, a $500 bridal boudoir shoot, a $500 engagement shoot and much more! Free admission for all brides and families.